The severity of winters has thrown life out of gear. It is common to see rickshaw pullers huddled around a fire made by burning tyres and plastic bags collected from the road. Most of them are poor migrants with just a tattered sweater on. Little do they know about the toxic effects of the fumes they are inhaling but they certainly seem to be getting some relief from the biting cold. For the lucky ones like us, blowers, heaters and geysers are helping to face the onslaught of the weather. With mercury mayhem continuing, it is difficult go outdoors and daily routine has also been disrupted. With so much time and nothing to do, I have been arranging the wardrobes, cupboards and completing all the pending jobs at home. I also involved my daughter in sorting out her clothes and in selecting a lot of woolens which were not fitting her any more for our helper’s daughter who is always playing in mud, has rough hands and red cheeks and a perpetually runny nose. She would value the woolens as she has only one sweater that too oversized. Sieve together whole wheat flour, baking powder, baking soda and cinnamon powder. Beat white of the eggs till stiff. In a bowl mix together powdered brown sugar and oil. Add yolks and mix well. Add grated carrots to the flour and toss well. The carrot shreds should get coated with the flour mixture. Add beaten egg whites to sugar, oil and yolk mixture. Now add carrot and flour mixture. 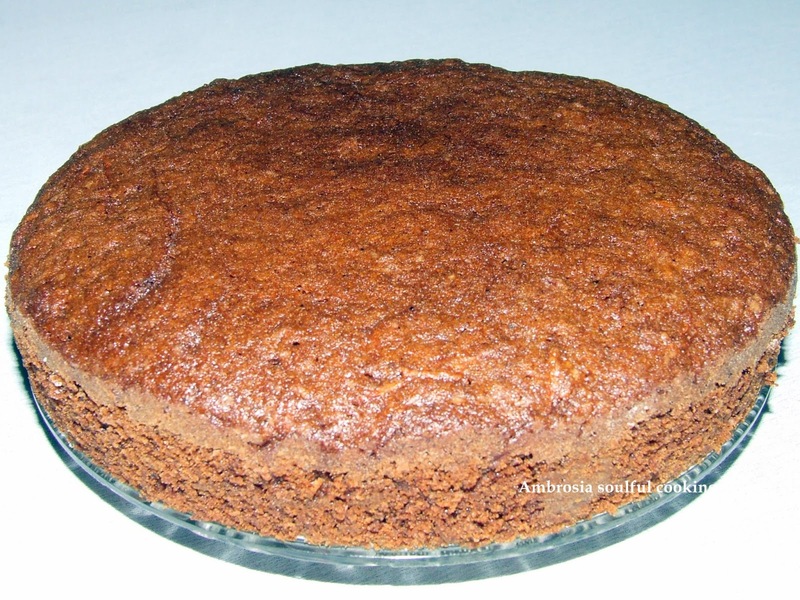 Pour the batter in a greased and lined cake tin about 6 inches in diameter. Bake in a pre heated oven at 150 degrees C / 350 degrees F for one hour. The top should turn brown and the tester should come out clean. Remove the cake from the tin when cold. Slice and serve next day. 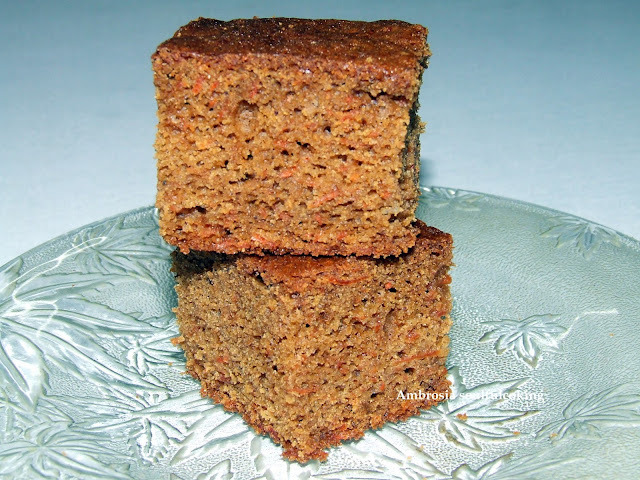 If you liked this recipe and tried it, do write to me. Thanks for visiting my blog. I am happy that you liked my page.Do visit again. 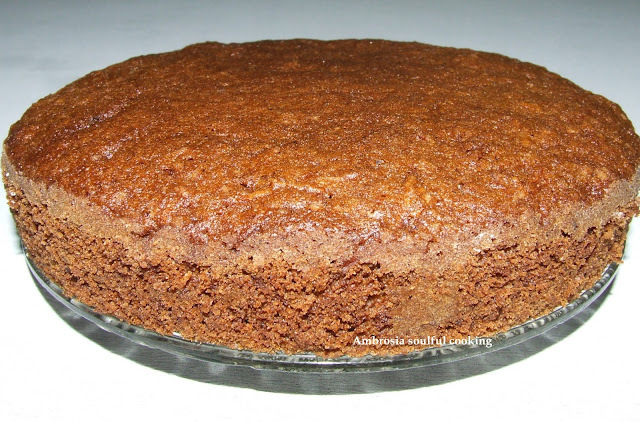 Please share the eggless version of this cake . This is the first time I visited your blog and I'm fully inspired by your baking. Hi Namita... Looks delicious... 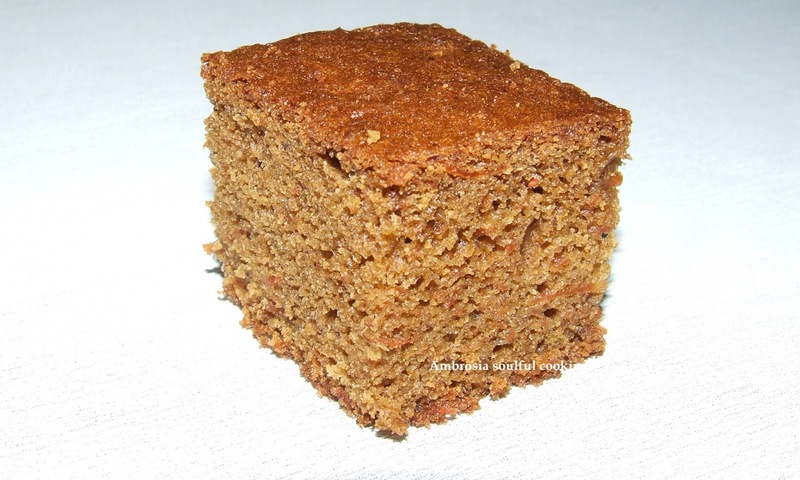 Carrot cake has been my favorite cake...what I can replace the eggs in this recipe with..?? Can I use curd?